Posted by Will Thomas in Cult of Invisibility, Schaffer Oeuvre. In Pt. 1 of this post, I discussed Alan Shapiro’s 1996 criticism of Simon Schaffer’s 1989 piece “Glass Works” (first discussed on this blog here). Shapiro argued that deficiencies in Schaffer’s portrayal of objection to Newton’s experiments derived from Schaffer’s “constructivist” methodology, which made him pay too much mind to disputes over experimental results, and not enough to others’ apparent ability to replicate Newton’s experiments, nor to the theoretical context of those experiments. Per Shapiro, these factors actually led to a record of reasonable success in securing assent around Newton’s work, even among Newton’s intellectual competitors. I argued that taking Schaffer’s paper to constitute a fully adequate history of the reception of Newton’s work spoke past the point of Schaffer’s commentary, which was intended to elucidate historical strategies specifically surrounding instances of failure to attain assent over experimental results. In this post, I want to expand on the key strength of Shapiro’s criticism: the importance he ascribed to synthetic accounts of history, which contrasts with the historiography of commentary espoused by Schaffer. Posted by Will Thomas in Technocracy in the UK. Schaffer acknowledges that their positions were never fully resolved, comparing the product of the tensions between their points of view to the interference fringes produced by overlapping light sources. He goes on to discuss how our field is highly unusual in its ability to support perspectives arising from different disciplinary backgrounds. No discussion of historiography and the Great Escape from the philosophy of science can long exclude Bruno Latour, though it is important to remember that Latour urges: “I cannot claim [the honor] of being a historian…. 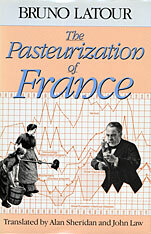 I use history as a brain scientist uses a rat, cutting through it in order to follow the mechanisms that may allow me to understand at once the content of a science and its context” (Pasteurization of France, p. 12).